Generous shelf space and handsome looks from this wall mounted 16 inch triple glass shelf from StilHaus are what you need for the busy bath or shower. The brackets and rails are forged of solid brass and finished in polished chrome. 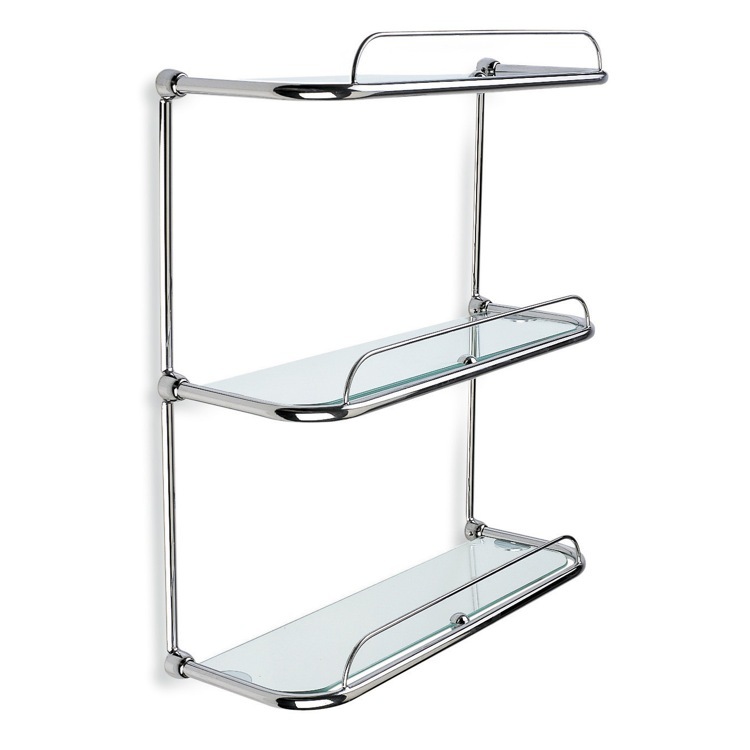 The three clear glass shelves are rimmed and rounded for safety and beauty.